Over the past couple of years, I've acquired quite a lot of knowledge in the self-publishing industry. The following is a re-post that I just recently edited and added to. I hope it helps you. As an Independent Publisher, Indie or Newbie, as we are called, we are competing against thousands of established authors for the reader's attention. We only have 5 to 10 seconds to capture a potential reader and make that sale. The first thing a reader will see is your book cover. It has to be compelling enough so that the reader will click on it. In my research, I found that people like colorful graphics with not a lot of words. The cover should have no more than the title, authors name and maybe 4 or 5 gripping words as not to crowd it. People don't want to see clutter. If they do, they won't click on the picture. In the review section of your book page, it is important to have as many as possible excellent reviews typed neat and tidy and no more than 3 lines each. So, if someone gave you a 5 star review, pick out the best parts, usually the adjectives. The reviews is a quick indicator if the reader is interested enough to read the product description. So the potential buyer liked your cover image, quickly scanned and was impressed with your reviews, he will now look at the product description. This is where he will exit your book or click to purchase. It is imperative, that the first 2 lines be gripping. Think of the most enticing things you can say about the book you wrote. Not something from the book. The description in total should be no more than 4 or 5 lines. People are looking for books and they are not going to read a long winded description. However, after that, add another one or two short one-sentence reviews. For the most part, people don't bother reading customer reviews/comments because every has their own opinions and people are not easily swayed if they are interested in the topic and book. DO NOT go into the specifics of the book itself or you will lose any excitement you built. The objective is to instill confidence in the potential buyer that your book is for them. So, to recap... colorful cover, many short reviews neat and tidy, 2-3 sentences in your description, a few more short reviews and that's it....no long clutter. TAGS. I've done dozens and dozens of book reviews for fellow authors and many times I see there are no tags. Tags are to assist in searching for a book. 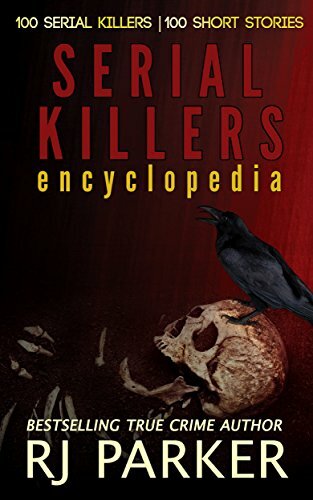 For example, if someone types in the search section for serial killers, FBI, Ted Bundy etc., my books will come up. It's very important to maintain your tags also because some people will tag your book, ie, over priced, kindle free etc., take those out and put in new words. An author can type in up to 15 tags. Also, if you are doing a review for another author, 'like' their page and click 'yes' this was helpful for the good stars and 'no' this wasn't helpful for the bad stars... it all helps your fellow author's rankings, and we need to support each other. Have a look at your Author's Page and make your books enticing. GIFTING Gifting your book has many advantages. From experience, DO NOT gift your book directly to a recipient using their email address. This gives them the option to return your book and get a refund on their account. Always gift the book to yourself. Then send the recipient the gift code. If the person returns the book, your account is refunded not theirs. After all, you paid for the gift. The benefits of gifting - It is considered a sale so therefore you get royalty on the gift sale. It also affects your sales ranking in a positive way. Ask the person you gifted the book to for a review. One more thing. Facebook. Interact with your fans. Chat them up. Ask questions. Play trivia games etc. In March of 2012 I had 160 followers on my Facebook Fan Page now I have over 65,000. I receive over 300 messages everyday and I answer all of them personally. If you engage your fans, they like that. They tell their friends and more people get involved. Many of the established authors don't need to do this, but we do. Thanks for sharing these great tips, RJ!